Juventus narrowly missed out on winning the 2018/19 Serie A title with seven games to spare over the weekend, with Napoli's draw against Genoa ensuring the seven-time back-to-back reigning champions will have to wait at least another week to confirm another Scudetto. Now, just a point in Juve's next league game against SPAL will be enough to mathematically wrap up the title with six games of the season remaining. But how does their momentous campaign compare to the rest of Europe's fastest wins in recent years? ​Manchester United set a new Premier League record in 2000/01 when their victory over Coventry and Arsenal's defeat to Middlesbrough in mid April ensured the trophy would be heading to Old Trafford with five games of the season left. 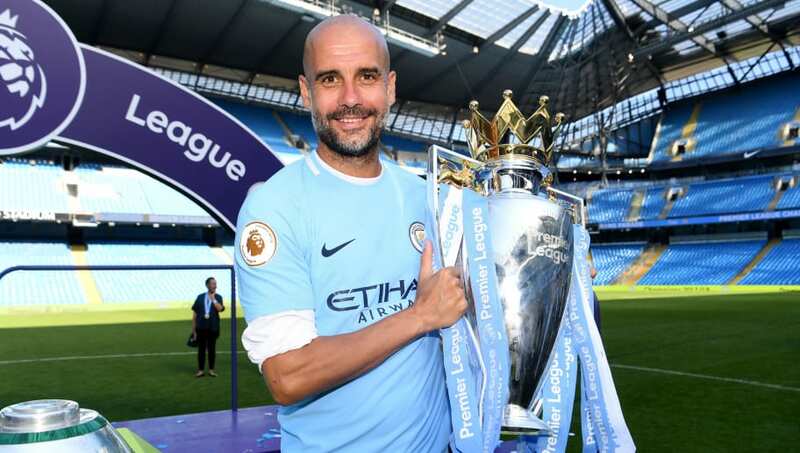 Manchester City became the first Premier League club to reach 100 points in a single season during the 2017/18 campaign, although Pep Guardiola's team were not actually in action the day that it was confirmed the title would be theirs on 15 April. Rather, the title was confirmed as early as it was because Manchester United had surprisingly been beaten at home by West Brom. That was despite them actually winning the Manchester derby a week earlier to delay City's title party. ​City had gone top just a few games into the season and a record breaking run of 18 straight wins between August and December was where the damage was done. In 2006/07, Inter took full advantage of the Calciopoli scandal that rocked Italian football to record their first Serie A title since 1989 - they were also awarded the 2005/06 title by the courts. Sealing the title on 22 April, ​Inter went on to finish 22 points clear of second place Roma. Such was their dominance at that point in history, it was the first time in any of Europe's top five leagues that a club had won six consecutive league titles - they would even add a seventh. ​Bayern were only beaten once in 34 league games that season, scored 98 goals and conceded just 18. It is the most dominant they have been during their current monopoly of German football, with their eventual margin of victory extending to an incredible 25 points.